We are constantly striving to build brands in step together with our customers for greater profit. 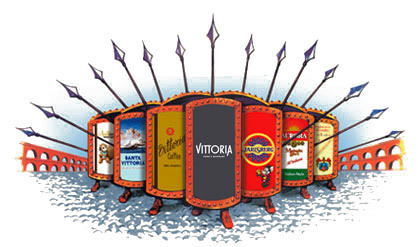 An ancient Greek military formation, the "Phalanx Strategy", is used to symbolise our Mission Statement. The brands are our shields and the strategy dictates that as a group, people are a far greater force than as individuals. We pride ourselves on building relationships with our trading partners. From our association with award winning restaurants, leading cafés and prestigious hotels, to our partnerships with supermarkets, overseas distributors and suppliers, we approach every partner as an opportunity to grow together and share in the success of our brands.